Internationally renown recording artist Prince is pictured here at the Apollo theater on Oct. 14 2010, not wearing the scent he didn't help promote. 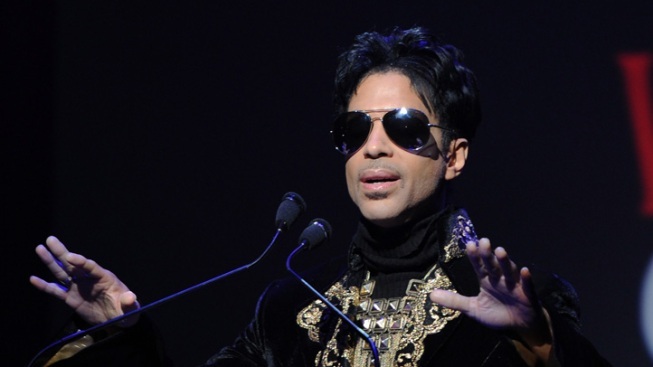 A New York referee has told 10-time platinum recording artist Prince, formerly the artist known as The Artist Formerly Known as Prince, he must pay a Philadelphia cosmetics company close to $4 million. The lawsuit stems from claims about a perfume named for his last LP, 3121, The New York Law Journal reports. After the release of the 2006 album, the singer promised Revelations Perfume and Cosmetics the use of his likeness, among other forms of agreed-upon support. The company dropped a cool $2.5 million in promotion and licensing, but the Revolution leader apparently failed to come through. "Since July 2007, despite repeated attempts by Revelations there have been virtually no communications from anyone who could commit to or coordinate any promotional efforts by Prince." The final, legally binding decision won't be made until a judge steps in to review.